Warning. If you do not have a sense of humor, this is not a post you should read. Otherwise, carry on! Having the “phone conversation” reminded me over the last day or two reminded me of why, in general, I avoid certain topics on the blog. 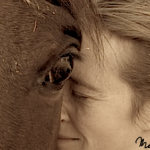 Which is an odd revelation if you are a long time reader and know me well enough that I don’t shy away from controversial or difficult subjects if they have to do with me personally in endurance and with horses. Here’s the problem with the “phone conversation” and others like it. If we all carried the gear that someone thought we absolutely shouldn’t leave the barn without, none of us would ride. I guarantee it. Carrying a phone (or not) it falls into the category of things of emergency gear that some people think is absolutely necessary. And some people do not. And here’s why this (and related topics) is a problem topic: it’s hard to argue with “it might save your life someday“. It negates any explanation of why someone might not be doing it – because what could be more important than life? Please refer to paragraph 3. What I thought would be fun is to list other ways that I am *surely* going to die, since I (and you) do all sorts of things on a daily basis that aren’t “the safest” choice. There are many reasons that we may not chose the “safest” choice and it all has to do with that little benefit/cost scale that constantly weighs out decisions in our heads. If you would like to join in the fun by leaving a comment (anonymously if you would like….) on things you do wrong….I’d love to hear it. Justification not needed. These aren’t confessions, rather admissions without repentance. 1. I don’t wear a helmet every ride. Most rides but not every ride. 2. I don’t carry a phone on my body regularly, in fact I regularly leave the house without a phone. And while we are on the subject, I don’t own a car phone charger and if the phone dies during the day or in the middle of my commute so be it. 3. I speed. But I don’t jaywalk and I always come to a full and complete stop at stop signs. 4. I don’t wash my hands before eating most of the time. 5. I eat raw eggs. Sometimes in cookie dough (before I couldn’t have gluten), sometimes just raw in smoothies. Most of the time I barely cook my eggs. 6. I eat my fruits and vegetables unwashed and sometimes I buy produce off the “dirty dozen” list. 7. I don’t drive with my hands hat 10 and 2. 9. I run long distances in barefoot shoes. Even on asphalt. 10. I ride and run with ear buds in both ears. (depends on the specific ride etc – not an every day thing). 11. Two days a week I don’t eat. The rest of the time I eat lots of fat and protein and absolutely *no* fiber that is found in whole grains. Because I don’t eat whole grains. I eat white rice. And no bread. And potatoes that are “white” in color. 12. I love raw fish. 13. I use an “e collar” or “shock collar” on my dog because she likes it better than a leash or a head collar or a harness or any other restraint invented by man. (OK – a little justification there for those of you that haven’t read my post on this subject on my other blog. Go to Tess’s blog for more information). 14. My animals are pets and part of the family, but not people. There is a price tag on their well being and it does not involve all my savings or maxing out my credit card (OK – these last two are less of ways I will die, and more of another reason to add to someone else’s list of why I’m going to be a *horrible* vet – and we should stop now before I add another 100 things to *that* list). I tolerate Tuck’s air-snapping and snarky faces, and a certain amount of mugging and on-the-ground pushiness. Here, too, I would let another horse get away with way less — but we’ve got a sufficiently established relationship and we’ve negotiated the details enough that at this point, I am happy to let him basically get away with murder as long as he keeps up his end of the deal. I also tighten short girths from the saddle, which I don’t think is an official “don’t,” but I’ve seen people claim it can’t be done, so! re: #7, you are in the clear! The 10-and-2 hand position is no longer recommended. I forget what exactly is the Official Hand Position Of Now, but it’s both hand lower on the wheel for sure. Something to do with airbags, IIRC. my precautions are based on personal trauma, not second hand stories. for example, if i’d seen a horse break its back due to being tied solid, i might not tie solid. if i needed to end my horse’s suffering on the trail, i’d learn to shoot and carry a .44. Emergency gear is a matter of personal choice. The fact the you ride a horse at all AND outside of a controlled arena environment does not say loads for your self preservation instinct. Horsey wise I ride without a helmet during CW Reenactments pulling cannon around and shooting pistols. Oh yeah, and my horse and I don’t have personal space issues. She don’t get to beat me up, but other than that we snuggle. Hahaha, love it. Also some of your items I didn’t realize people had a problem with, like giving your own vaccines, or eating raw fish…? I agree with Lytha, my personal precautions are from previous accidents. Like I always wear my helmet because one time a horse unexpectedly threw me and I would have died if I hadn’t been wearing it. But I won’t wear one for say, parades, when I’m riding my extremely trustworthy horse. And I only carry my phone because usually my husband is asking when I’ll be home or something (yes I text on horseback). Also I like to take pictures. I ride alone. Always. Without telling anyone where I’m going. And I jaywalk sometimes 😉 And I almost never wash my hands before eating unless they’re covered in mud! Is this tied to risk types? I was shocked to see I also follow almost every one of the behaviors you listed. The no helmet, rare cell phone, not washing hands… Here’s my new one for your list — I love to travel and frequently travel alone. And I will leave my hotel and just WALK. Doesn’t bother me if I have to walk through 3 crappy blocks to get to a cool destination. I walk head up, confident, sometimes no clue where I am or how to get back to the hotel. It’s all about the experience. I deliberately didn’t include any of my risk behaviors that I will do after some thought. These are every day behaviors that I do without a second thought. So yes, in general I would say that you are right and if we all listed risky things that chose to do, the more risk adverse would have a shorter list…..but when it comes to these every day small behaviors – most of which I think are slammed into our brains over and over and over but I have a hard time believing a majority of people actually do them (the hidden camera bathroom handwashing stuff proves that point) – my point was that everyone, even the most risk adverse ARE doing things that others would consider immensely risky. I know people that won’t eat raw fish no matter what. Or let their kids (or themselves) eat raw cookie dough UNDER ANY CIRCUMSTANCES. I’ve had food poisoning before (not related to eggs) and I have to say it still doesn’t even cause me to pause before reaching into that cookie dough bowl. And then goes on to talk about things that we do value, like connection and experience, which: yeah. You all make me sound so REASONABLE and RATIONAL by comparison. Or maybe, I’m just older. You know, that might be it. Although I am notoriously lax about hand-washing unless the dirt is really obvious. And, um, I often let the batteries of my flashlights go dim and I don’t replace them for months. ride the wrong horse….ah hem…. Rarely carry a cell phone…. Mostly ride alone without telling anyone where i’m going-usually there’s no one to tell anyway! best intentions… but make up for it after…..
And- i consider my poor hand hygiene a method of stimulating and maintaining my immune response. I drive with both hands at 12. It saved my nose from being broken by an airbag once. I don’t care what my driving instructor said in driving school. I speed inbetween speed cameras. And I talk on the phone while driving. I actually drive BETTER if I’m talking on the phone, and given my uber-busy life, it’s often the only time I have to talk to friends and family. I hate that new law. I ride alone. Often. If I want to go faster than a walk, I have to. I don’t always make sure someone knows where I’m going. And I listen to music while riding alone. I love cookie and bread dough, and some of my favorite holiday drinks involve raw eggs. What a great list, Mel! I never wear a helmet. Mostly because they give me mad headaches. When I find one that doesn’t give me a headache that lasts for three days, I might consider wearing one. Now that I don’t have Estes, I suppose it would be prudent to start just wearing a helmet when I get my new horse (whenever that is). Raw cookie dough is a food group, as far as I’m concerned, but I don’t worry about it because salmonella isn’t *inside* the raw egg, it’s located on the shell, so if I don’t drop any shells into my cookie dough, I don’t have to worry about it. As much as I loved my Estes, my love certainly had a price limit. She was 25 years old. Even if I could have afforded the expensive colic surgery, why would I do that to her? The recovery isn’t guaranteed and there’s no way I would put her through that. She got the .45 caliber cure and I’m sure we’re both much happier with the outcome. And I had no idea that not washing your hands before meals was wrong…That might explain why my DH gets the flu every year and I don’t – he’s a chronic hand-washer and I’ve been known to clean stalls and eat a sandwich – with no hand washing in between!